Okay, everyone. Sit down and listen close....C'mon. Sit already. God, this is like herding cats. Shhhhhhh. I have a big announcement...or should I say WE have a big announcement. You'll understand what I mean in a minute if you just sit down and shut up. Starting now, we are opening the doors for the first annual CRM Idol: The Open Season. YES! CRM Idol the Open Season launches today and it is something that will be here every year from here on. Something that....well let me tell you the story. Because there are so many companies coming into the "CRMish" market, the market for customer facing programs and activities, there is little chance for smaller players to get much visibility among thought leaders, analysts, journalists, venture capitalists and even the general public. One company seems like another and they are all vying for attention. They either do their own public relations or hire public relations firms that are often, lets just say, until Brent Leary and my next public skewering of them, deficient in their public relations skills, sending ill considered emails that indicate no research done - and thus, the influencer, analyst, journalist, doesn't give it the time of day. Know why not? Because each of us gets some 30-50 of these emails per week and because we want to have a life, we can't read or even respond to all of them. Consequently, it takes something special to get through to an individual who may be able to help the small company. The irony is that this small company may have a great product, but no one will ever know, because of the bad PR work or simply the overwhelming amount of possible competitors vying for attention. There is another thing that makes it tough on all of these companies too. Many of them, rather than try to be smarter, get whiny. For example, when I issued my CRM Watchlist 2011 and placed SugarCRM on it, one SugarCRM competitor wrote this incredibly waah waah comment on the blog post that said something to the effect "why is it that when SugarCRM changes a palette color, they get coverage, but we add a workflow and business rules engine and no one covers us." This is a paraphrase. I can't do justice to the childish, petulant nature of the commment, but incidences like these turn off the switch when it comes to coverage too. So all in all, partially due to the inability to provide something attention capturing, partially due to the complaining, but mostly due to the high volume of requests for demos and briefs which limit the influencers in making a choice, the small companies are not able to get the traction or visibility that they need to solidify their market position and make themselves known. What's going to be different? CRM Idol The Open Season. The thinking behind what you are going to hear in just a few is simple. These small companies should have a chance. It isn't their fault that there are a million other companies out there trying to reach the same 100 plus people they are. It isn't their fault that the ability to penetrate the influencer's nearly impenetrable walls due to email/etc. volume, is beyond the skills of a goodly percentage of public relations professionals. And it isn't their fault that some of their colleagues/competitors are sucking their own thumbs. What in Hell is It? This is a competition that is easy to enter but difficult to win. But as long as you enter, you'll get something out of it. Its time to let the small companies who are out there, fighting for that visibility every day, have a chance at some of it, with some of the top thought leaders/influencers in the industry. It's also time for the thought leaders to be more available and do something to support those small companies out there. So here's the game plan. First, the format. Then the rules. There will be two versions of this competition/show. One based in the Americas - which will encompass the United States Canada, Central and South America - and one based in EMEA - which will encompass Europe, Australia and Asia for now. FFrom August 15 through August 19 (Monday thru Friday) and then again, August 22 through August 26 (Monday through Friday), (thanks LuxorCRM for finding my date booboo), each day, from the hours of Noon to 2pm ET (thus, 9am to 11am PT) and then again 4pm to 6pm ET (1pm to 3pm PT), a panel of three judges will hear, each day, 4 companies who will provide 1 hour demos of their products. That will mean 40 slots in total - all in the month of August. The only criteria for getting the slot (the criteria for entry will be seen below) is that you ask for it first in a period that starts April 18. After each demo is over, the judges will score/analyze the company and its product(s) and, this is the kicker, will jointly publish in all their venues and in media sponsor venues, a review of the company -giving each of the 40 companies the widest possible exposure. But be on your game. Because I'm not saying the judges will publish a good review. It will be fair, it will be honest, but it could be great or bad or in between. That's up to you as a company. When all forty demos are done and each of the articles/posts have been published, there will be four winners announced. The winners are obligated (yes, obligated. Don't join the competition if you are unwilling to do this) to put together a 10 minute video that highlights what their company does and how their products work - it can be clever, funny, somber, boring or whatever, but it has to highlight what the company is like and how the product works. This video will go up on multiple venues (including a YouTube channel for this) and there will be an expanded set of judges. The 4 winners will be judged by the public - and a much expanded panel of influencers (between 10 and 15). The publics vote will count for 50 percent and the expanded panel of judges will count for 50 percent. Out of those four finalists will come one winner who will be the CRM Idol 2011. Not only will this be published widely in all venues, but the winner will get a choice of several prizes which will be announced at the time that the four finalists are announced. They could range from a significant speaking slot at a conference to a meeting with a venture capitalist/angel who might be willing to fund the company to a meeting with a key potential vendor partner. More to come on that later. The combination of the prize with the publicity and the exposure to a significant group of thought leaders all with an easy entry point if you meet the criteria should be worth any small CRMish company's time. Take a chance. This is pretty much the same rules (three judges, final video, etc.) but there are a couple of differences. First, it will be only 20 slots. Second, the dates for this as of now are TBD. But watch these venues over the next week or two. Because many of us are giving up a good chunk of the little free time we have in the summer to do this, this is going to be a hardnosed set of criteria - and woe to you if you take up a slot and don't qualify - seriously. I don't want to get self-righteous, but none of the judges have much time to do non-work related things in a given year and we're giving up two weeks of that to do this, so please do me a favor, only bother if you meet ALL the criteria. The products you show must be commercially available when you show them. No betas. No alphas. No incompletes. You must have 4 referenceable customers. We will most likely send them notes or call them to check, so again, please make sure that they know they are referenceable customers who may get contacted by us. If you are a finalist, you must do the 10 minute video describing your product. Its your call how you do it. It has to be able to be posted on YouTube though. This isn't optional for a finalist. This is a mandatory rule. Otherwise, we can't pick a winner. You must be in an area related to CRM somehow. This could be marketing, sales, customer service, enterprise feedback management, social software, analytics, knowledge management, community platforms, social media monitoring, etc. Customer facing or something that captures customer data. There's a wide range. However, the judges have the final say as to whether or not they think you meet the criteria. Finally, your revenues need to be $12 million U.S. or under. On April 18, we all will announce through multiple venues the opening of the slots. That means that anyone who meets the criteria who wants to compete should send an email to the email address that will be announced the date we open. In that, please send company name, information about the company and products, the names of the 4 referenceable customers and a contact at your company. Additionally, identify two slot times. If one is taken by the time you send it, then you will get the backup slot. If both are taken, then you're out of luck unless there are slots still available at the end of the slot availability period (roughly 10 days). It is first come first serve then for those who missed - meaning the judges will look at when the emails were sent and if you're early enough, you'll be offered remaining available time slots. If you don't want any of them, then you're out of luck. UPDATE: We've added, CRM LATAM thought leader Jesus Hoyos to the judges panel in the Americas. YAY! Click on his name for his bio. As I mentioned before there will be an expanded panel of judges for the finals. But I was dissembling a bit. There will actually be two expanded panels of judges for the finals. First, a panel that will consist of roughly 10-15 key influencers which also may (this is still under final discussion) include a venture capitalist or two; and second, a panel that will consist of a like amount of appropriate larger and well established technology vendors and large systems integrators/consulting firms. In other words, those companies that the small companies would love to get in front of anyway. Sitting on these panels, especially the latter, are potential partners and investors. These will be responsible for 50 percent of the decision on the winner of the competition. But it doesn't stop there. Wide exposure is going to be the minimum benefit (unless something bad is written, then its not much of a benefit) and so we are bringing in media partners who will non-exclusively carry the entire competition from beginning to end and will be sites from which the popular vote is tallied. The first media property in is MyCustomer.com, a wildly successful CRM related online digital media outlet in both Europe and the U.S. with, all in all hundreds of thousands of readers. The 3 full panels - influencers, vendors/consulting and the sponsoring media properties will be announced on April 18 when the "first come first serve" slots open up. The final prizes which will involve, among other things, companies and individuals who are willing to give the winner a crack at getting invested in, will be announced in the midsummer before the Open Season....well, opens on August 14. That about does it. I'm all written out. So be prepared for this. This could be a big deal. Hopefully this will be both the break that some of you are waiting for and also will show us some of the companies that we should have been watching but weren't. We can close the historic gap and have a great time along the way. Watch for the "sound of the opening bell" coming soon. Remember, first come first served. I'm heading over to the Enterprise 2.0 conference in Boston on June 22. If you're interested in the social customer and how businesses should respond to them - and how workplace performance can be improved - this is the one conference you shouldn't miss all year. I mean that. Go. I'll hook up with you if you're there. Contact me via Twitter to set up some time. I'd love to make contact with you guys. Also, there are going to be a number of industry luminaries there like Ross Mayfield and Thomas Vander Wal and Mark Woolen from Oracle. Susan Scrupski of the Enterprise Irregulars and well, you name it, they're there. I'm going to be doing a panel sponsored by Radian6 on Social CRM with Brent Leary, Michael Thomas and Frank Eliason (the Comcast rocker) on the 24th from 5pm to 8pm. I'll publish the details soon. To get across the fact that I really think you should bite bullets of time and money and come to this thing, I asked Steve Wylie, the GM and Conference Director for this knockout of a conference and all around good guy, to write a guest post because I don't think I'm persuasive enough and this guy has those needed mesmerizing powers to get you there - using rational thought as his hypnotic tool of choice. He is also the editor of the Enterprise 2.0 Blog, which means he can write a pretty mean posting to begin with. He'll give you an idea of why an Enterprise 2.0 event is even more cogent than ever. SF-based Steve is an events industry veteran, having handled some of the biggest conferences around including the Interop mega-events in Las Vegas and New York. He is an IT industry veteran too, as the former program director for InteropNet, which ran a multi-vendor test lab geared to evaluate, improve and showcase early implementations of open-standard IT infrastructure technology. I'm always amazed at what it takes to run an event. I think event planning is a magnificent and difficult venture. But Enterprise 2.0 is not just an event, but one with actual content - and plenty of networking. Oh, if you want to hang around with the rock stars of the social web, they hang there too. Here's where you can get more info on the conference. I'd truly take advantage of this and make the effort to get there. Paul kindly invited me to share my thoughts on the Enterprise 2.0 market and provide some highlights for the upcoming Enterprise 2.0 Conference in Boston. As the conference chair, I've got a fairly unique perspective on the state of Enterprise 2.0 and some ideas on where we're headed. We're roughly three years along since Harvard Professor Andrew McAfee first described this new category of enterprise software and organizational strategy that he dubbed "Enterprise 2.0". Someone recently asked me what's changed in the Enterprise 2.0 market from that point to present day. For starters, we really didn't have much of "a market" to speak of three years ago. At that first Enterprise 2.0 Conference we described a new vision for business applications that included some truly ground-breaking concepts. Attendees were largely business users and managers, frustrated with the disparity between fast-paced, consumer technology innovation and the dated applications being supported by corporate IT. At that first conference we were embarking on a radical journey to turn these business applications and the corporate culture around them upside down. We were ready to take on the world. Fast forward three years and those early aspirations are now grounded in reality. Momentum is building for what is now truly an Enterprise 2.0 "market" and we're seeing many early signs of success. But while we've made tremendous progress in three years, Enterprise 2.0 concepts and applications are still striving to reach more wide-spread, enterprise-scale adoption. There is an abundance of use cases around small or department-level successes but far fewer examples of large-scale deployments - examples of Enterprise 2.0 concepts and applications that form part of an organization-wide fabric for productivity and communication. Why is that? While we could argue that this is a very new market and that businesses take time to change, I also believe that Enterprise 2.0 will be challenged by large-scale adoption until corporate IT is fully on board. Early adoption has been largely driven by business users and department-level managers. They had a problem to solve and were fed up waiting for IT to provide the solutions they needed. They took matters into their own hands by finding workable, web-based solutions and even celebrated this new found freedom from IT. With a few exceptions, IT took a reactive posture to Enterprise 2.0 and viewed it as a threat to be managed, secured and even blocked in some cases. Three years later and I see that posture changing for many IT leaders. We're entering a new era where forward-looking IT leaders embrace Enterprise 2.0 as a strategic advantage and as part of a cohesive, company-wide system. This change is an important ingredient to the next phase of Enterprise 2.0 adoption. So what should you expect from this year's Enterprise 2.0 Conference? Expect to network with nearly 1500 people from over 40 countries. Expect our most comprehensive program to date with deep coverage of new topics like Social Media and Cloud Computing. Expect even more innovation from industry veterans and start-up vendors preparing for the next big thing. And expect to hear some really compelling case studies and speakers from organizations like the Obama Campaign, the US Army, Booz Allen Hamilton, Volvo and Jet Blue, all ready to share their experiences on how Enterprise 2.0 is transforming business - changing the world. All of us'n that reside in the CRM universe or related dimensions, have a strong bias toward certain "terminology" shall we say? "Social" is an au courant word that embeds itself as deeply into our lexicons as as the need to be loved is embedded into the psyche of each and every human being. We hear of course "customer" all day long, "sales, marketing, customer support" and just a monster number of other terms that we are all using to the point of overkill. But what we hear a lot less is "co-creation" (with the notable lovely exception of Graham Hill) and "value chain" and "collaboration" (except as sort of a hackneyed marketing phrase). So I'm offering up, for better or worse, a section of Chapter 12 of the 4th Edition of CRM at the Speed of Light. The Chapter, entitled, simply "Collaborative Value Chain" covers how to extend what was an enterprise value chain to the personal value chain of the customer which in conjunction is a collaborative value chain that works toward co-creation. Not an easy task at all. Because of the culture change necessary to even understand what it is, much less to actually accomplish it. 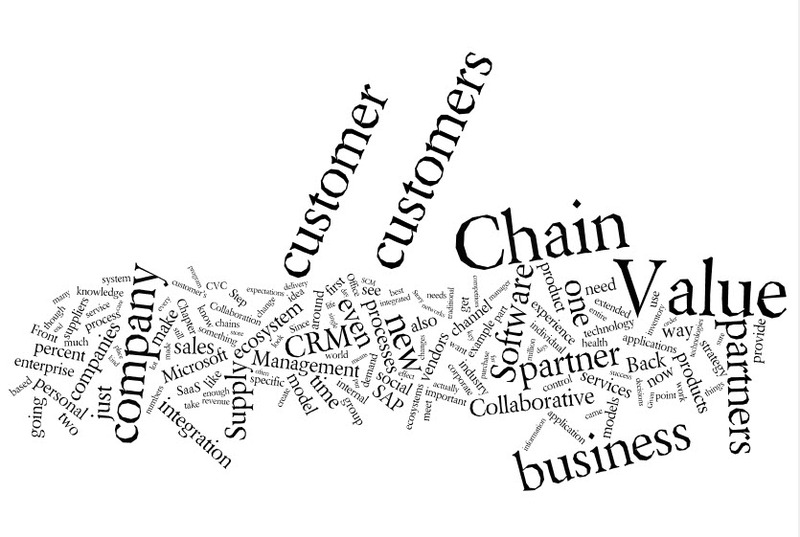 Of course, as always, we start with a Wordle of the entire chapter. I left this one as a black and white because of the way that the diagram organized itself with chain and value and customer(s) and business standing out - it was too good to pass up - even for color. As always, I welcome feedback. This chapter is as yet unedited so it has some wiggle room to change things. Let me know. I'm sorry its limited to an excerpt so you may suggest something I've covered but do it anyway please. By the time you get to this chapter, you, I suspect have realized that customers have become the dominant business force - so strong a controlling presence in the business environment that I think we should make customers a new species or at least a new genus. Ecosystems are beginning to rule the business planet and they demand value chains that incorporate all the elements. By creating ecosystems, the business model shifts (see Chapter 6 for details). As we saw in Chapter 6, the business model has evolved too. From a business model where the company was the producer of goods and services to a model where the company is an aggregator of the necessary components to optimize a customer's individual experience. 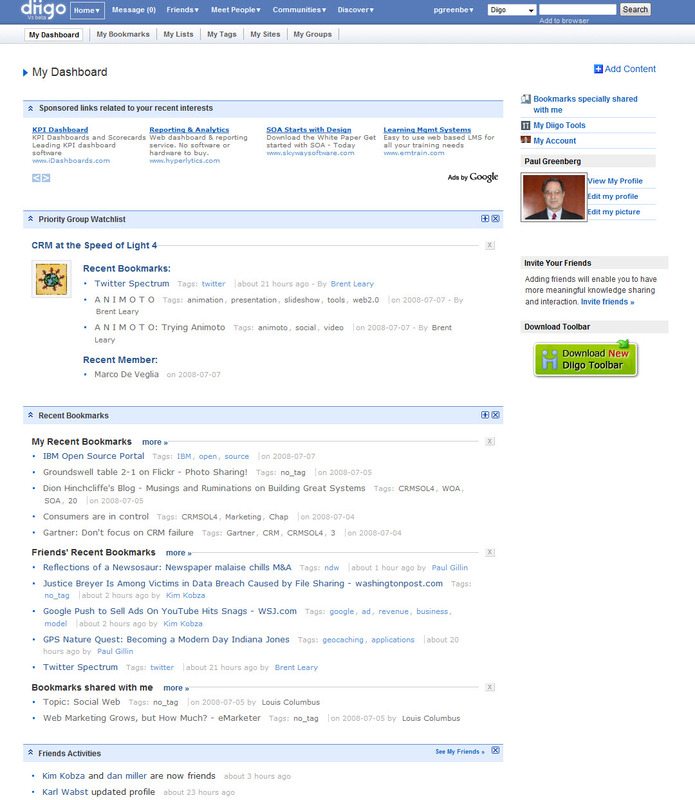 Take a look, for example at a Microsoft acquisition reported in the NY Times on Monday February 26, 2008. They acquired Medstory that applies artificial intelligence to medical and health info in medical journals, government docs and the unstructured Internet through a sophisticated search engine. Why in hell would Microsoft do that? Well, a little math - addition works here - is in order. Last year they purchased, and this is the real name, Azyxxi - which is either a software company or Superman's old nemesis - oh…software it is...that retrieves and displays patient information from multiple sources including documents, x-rays, MRIs, and ultrasound images. Does it make some sense for Microsoft to acquire those companies then? Actually, not if you leave it at that. Why healthcare? They already have the XBox 360, Windows Vista, MSN Search, Office 2007, CRM Dynamics 4.0, ad infinitum and have penetrated both the personal and the work side of life. Do they need more than that? It makes perfect sense if you are trying to create the all-encompassing environment that addresses all facets of business and everyday life. Health care attends to key portions of that personalized value chain - the individual's approach to gaining control over a hopefully rich and long life. In other words, with the availability of comprehensive sources of information previously only seen by health professionals ranging from the ability to find how one drug interacts with another to your direct health records to references for experts in a particular health field, an opportunity to get some control over your health issues is now extant and how it gets treated is more under your control, because you have the mechanism to get whatever information you need to do that. Microsoft provides tools - not ankle shackles, Technology tools. These actually can help you. Okay. Deep breath. Now, back to the show. Microsoft's acquisitions are wise moves for them because they provide a full featured environment that aggregates the knowledge that you individually need for your health - making you want to use the one-shop-stop resources (at this phase, in principal) that are powered by Microsoft because of a powerful incentive - convenience. If you remember your chapter 6 test questions, aggregation is the model that's powered by convenience. But all that we've looked at to date - the back and front office integrations, the partners and vendors, the acquisitions, the customer involvement are the elements to build a collaborative value chain that drive customer engagement. How do you build it? Then who is the best at it? That's what we're going to answer in the next episode of "Who Do You Trust to Handle Your Agendas?" I'm now presuming we're in agreement that we have to be willing to go beyond the "ordinary" extended value chain of company, partners, suppliers and to the CVC when appropriate. That means engaging customers and remembering that there are other experts who need to be a part of effort. If that's true and I'm not blowing smoke, then I'm going to outline the steps to prepare the way for a collaborative value chain - what has to be in place to make it happen. Step 1: Make sure that the internal processes, technologies, metrics, and corporate structure are aligned appropriately. If there is something that's internally broken, then the effort will be doomed from the start. But this isn't the typical alignment based on efficiencies. Many companies will use processes like Six Sigma or lean manufacturing to design their systems to both reduce deficiencies and align based on purely internal criteria. Even though I'm speaking of internal alignment, it's in conjunction with customer focused objectives so it isn't purely agnostic. For example, if you have an accounting process that is efficient and saving the company thousands of dollars a year, but its impacting customers negatively - which this meets a possible Six Sigma objective, it doesn't meet a CRM objective - which is to provide positive impact to your customers - or minimally, not impact them badly. Even if you lose the savings by changing or discarding and replacing the process to make it work in a more customer-positive way, it's worth it. The alignment of all internal objectives is painted with brush of the customer's expectation. Step 2: Make sure that you have all the processes and technologies associated with external interactions working well. Typically, this is going to take the form of web-based activities. That means that the communications media - blogs, wikis, podcasts and the more "traditional" like email have to be working effectively amongst the elements of the internal ecosystem and for the customer. You need to also have processes, procedures and governance in place for how you and your customers or your partners will share intellectual property and information that ordinarily is considered competitive. Agreements need to be in place and the rules of the game have to be defined clearly. This is probably the most important single part of the first two steps. The reason is that you might be doing collaborative forecasting or joint scheduling with your partner, or you might be handing over product design documents. You might be sitting down with a customer who is reviewing the product that you and they just developed. There are clear hurdles that need to be overcome when it comes to how you participate with each other and what kind of legal considerations have to be given. This isn't that unusual. Its Neanderthal manifestation was software companies providing customers with beta software for them to implement and test for free. In return for the participation in the beta program, the customers got to use a licensed pre-release version of the software prior to its release. But that wasn't just a matter of installing it and then starting to use it. Since it was beta software and being put into a laboratory environment by a rather bold customer, liability had to be assessed; agreements that took that liability or lack thereof into account had to be signed. Non-disclosure agreements (NDA) had to be executed so that the nature of the new version wouldn't be leaked to the press or competitors. The software needed to be in a specific environment which may have forced some investment by the company. In other words, the t's were crossed and the i's dotted before the program got underway. This is no different except that if there is a jointly held asset, how that manifests has to be worked out from the get go. Who owns what for how long and what the expected uses are has to be considered in the preparation. Once these things are done, then the final step can be taken. 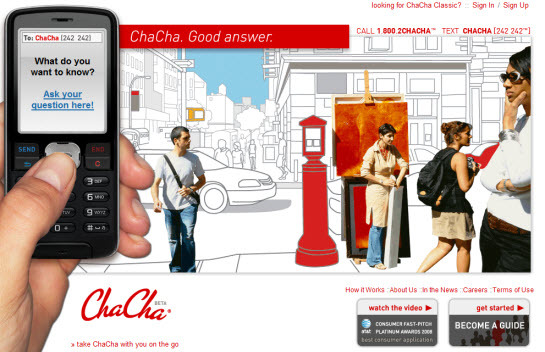 "They recognize the potential of the new business model enabled by the Internet and collaboration. They have a track record of applying new processes and using technologies in new ways. They are moving beyond collaboration with supply chain partners and are starting to include customers and the sales and marketing processes into their collaborative value chain. These companies seek to link the entire customer-driven value chain in a new way to improve their competitive position, to drive customer loyalty and to improve profitability." Step 4: Make sure that you have clear management for the CVC - someone who will be the facilitator and have decision-making power. The reason is that there are substantial and complex decisions that have to be made. The CIO is actually a good choice for this because of the impact on business rules, IT and processes - in addition to the social aspects of the CVC. That's a first. I never thought I would see the CIO as a viable choice for anything in CRM. Regardless of who is chosen ….they should be a champion for the idea. Step 5: Remember that the CVC requires not just your customers, vendors, partners and suppliers, but also industry and other expertise. As you'll see below SAP has MyVenturePad.com as a place to access this industry experts so that the benefit of third party knowledge can be realized. Needless to say, this isn't meant to be the exhaustive guide to creating a CVC - just an indicator of what it takes to bring together the internal and external resources that are necessary to align the processes, technologies and social interactions in an exhaustive way so that innovation and collaboration are encouraged and customers in particular are engaged in creating what is important for them and other customers. I didn't really elaborate here on the cultural issues involved in this kind of effort. If interested, check out Chapter 21 where I discuss how SAP, in particular, made those cultural changes - in fact more effectively than any other company that I can recall. Versailles, April 1, 2009 -- Customer Relationship Management (CRM) officially changed its name to CRMsCRMCCRMSRMCESCCMCRM 2.0 after an acrimonious war among the different factions in the industry was settled at peace talks at Versailles that ended today. The Treaty of Versailles For CRM Peace & Harmony (TTOVFCRMPH) was hailed by the participants as a "landmark document that would settle the discussion in CRM for a long time to come." (LDTWSTDICRMFALTTC). The long time was estimated to be three to five weeks. The war, which lasted 3 years, was bitterly fought, with thousands of customers and several companies destroyed along the way. What was surprising to most analysts was the number of factions that emerged during the bloody conflict. It began somewhat innocuously, though gruesomely, with a gang war in San Francisco between the Social CRM Mavens and the CRM 2.0 Pundits over who owned the hood, sometimes called "The Nomenclatura," by mostly clueless people (MCPs). However, it quickly escalated to a breakdown of customer-driven civilization with factions supporting Collaborative Customer Relationship Management (CCRM), Collaborative Customer Management (CCM), Social Relationship Management (SRM), Customer Engagement Strategy (CES) and Social Business (SB) joining the fray. Alliances among the contending forces were short-lived as the War to End All CRM Acronyms (WEACRMA) raged; pundit-led wikis and blogs sprung up overnight and recruited the citizenry to answer one invasion after another as every faction fought for the high ground, though none ultimately were able to seize it. All names were to be combined into a single acronym (ANWTBCIASA). Finally, each faction would retain the rights to its piece of the acronym. "While not a perfect settlement, this is a great start to the end of acronyms and turf battles in CRM," said one factional leader. "We now have the opportunity to get back and build up this great industry and do what we really do best. I'll leave it to you to figure out what that is. I'm not exactly sure at this moment"
I'm back from the2008 CRM Association National Conference. I have to say this was outright cool - or hot - depending on your inclinations. Over 200 attendees, all fired up, great presentations by luminaries like Martha Rogers of PRG, and Pete Winemiller from the Oklahoma City something-to-be nee Seattle Supersonics of the NBA and a wide array of practical how-tos in breakout sessions. I was a keynote on Wednesday with my first take at a "What The Hell is CRM 2.0" presentation - based on history and the research for the book. Thanks to Tylenol, Mephisto shoes, and endorphons, during the presentation I didn't feel anything but one twinge of pain on my car-accident induced broken foot and moved around like greased lightning - or like a New Yorker dodging traffic on a rainy Thursday. Right after I finished, the throbbing was bad news. But the speech went really well - I am told. I never know how I did. I'm in my own blindspot even when I rock. A couple of things - gripes really - before I get down to the nitty gritty of this entry. These aren't about the conference but about things that surrounded the conference. I'm not sure why this was but there was no CRM press there. I know they'll go to Gartner and vendor conferences but the ONE friggin' association that exists for the industry - that needs their support too - they don't attend. -I didn't see a single representative from CRM magazine, SearchCRM, InsideCRM, CRM Buyer, CRM Today, TMCNet and I could go on and on. I really like the people at these publications, and each of them have exceptional writers and many have refreshing perspectives. I have irreplaceable relationships with some of the people who run and write for these publications. Hell, I write for many of them and will continue to if they want me to. But the lack of support for something that tries to represent the industry is both perplexing and appalling. Maybe the CRMA was at fault here and didn't invite them. I don't know. Maybe someone was there and I didn't see them. 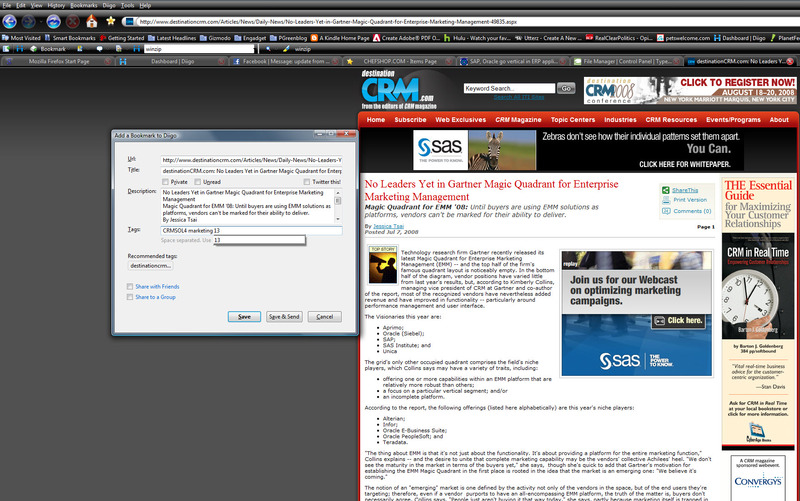 After all InsideCRM sponsored it But the lack of press there was monumentally obvious and needs to be fixed right away. I'm going to take care of this. Man, its one effing conference a YEAR. What does it take to send someone there. The one press representative there, not surprisingly, was Ginger Conlon, Editor-in-Chief of1to1 Media (all of it). It's not surprising because Ginger is more than an editor-in-chief. She is a thought leader in CRM and a driver for the new and cutting edge in the industry. Additionally, the vendor support was far too lukewarm. I understand the need to have prospects attend - these are, after all, quid pro quos. But there were a pretty good group of prospects this time around. But. frankly there also should be some support for for the one agnostic body in the entire industry. Thank you to Oracle, Pardot, FirstWave, Marketo, SugarCRM, Neighborhood America and many others for their support of the event. That said, its about time we all did something for the industry that we're part of. This one doesn't take that much. Look, we need to make sure that the CRM Association fluorishes in 2009. All of us need to. Not just the people who are currently volunteering their time and spending their money to make this an association of substance. CRMA has a long way to go there, but it is the members of this industry that makes it succeed or fail - you know - the ones earning their livings in CRM. I'm not trying to avoid naming names - I just don't have the space to mention all that need to participate. Okay. Deep breath. Ommmmmmmmm. Ommmmmmmmmm. Ommmmmmmmmmmmmmmmm. To make up for the rant, I'd like to provide you with the presentation I gave at the event. This is my first take at an overview presentation on what CRM 2.0 is, all its elements, the new models it demands, the ideas that drive it, and what vendors are there, getting there, and not there though still pretty damned good. Hope this works. It needs some serious tweaking but hey, dudes, dudesses, I'm trying. Cut me some slack and let me know if this resonates or not. Or what I have to do. Whoa Dude! This is Really Funny! My pal, Guido Oswaldo a CRM veteran who gets the whole 2.0 thing, just dropped this piece of very cool UGC into his CRM 2.0 blog (always worth a look see). With some serious extensions of the musculature a.k.a. stretching you can find a CRM 2.0 reason for this if you want to or some deeper social commentary but it is just really well done. Really funny too. And a strong case of "true dat." A notable aside here is that it comes from Current. For those of you unacquainted with Current, its actually Al Gore's TV station. The business model is built around a collaboration between the viewers and the station. The content of the station is almost all viewer-created and there are monetary and other rewards if your stuff is created. Their slogan is "you make the news. We put it on television." Gore got into this about 3 years ago - maybe 4 - with people laughing up their sleeves and within about a year had 3 million viewers and an incredibly high valuation but I forget what that is. I think I finally found the Web 2.0 social tool I love. It has captured my heart. It's put a spring in my cerebral step. Its made my life easier because it is sooooo easy to use and so many people who I've invited to this particular dance have come. This is a dance that has a bit of hip hop, a little paso doble, a bit of the ballroom and some jazz. This is easily the best social bookmarking and research tool that I've run across on the web and given that I'm in a geeked out frenzy most of the time trying out zillions of tools that's saying something big time. Most of them are tried, not bought if they cost, and discarded within about 2 days which is my ADD-tested and approved patience limit. For example, I figured out in a more fevered state that I've tried 13 Twitter clients already - settled on 2 - OutTwit and Tweetdeck. That would be Diigo. Spelling D-i-i-g-o. Two eyes? Two 'i's"? Whatever. Spell it right and then go get it. 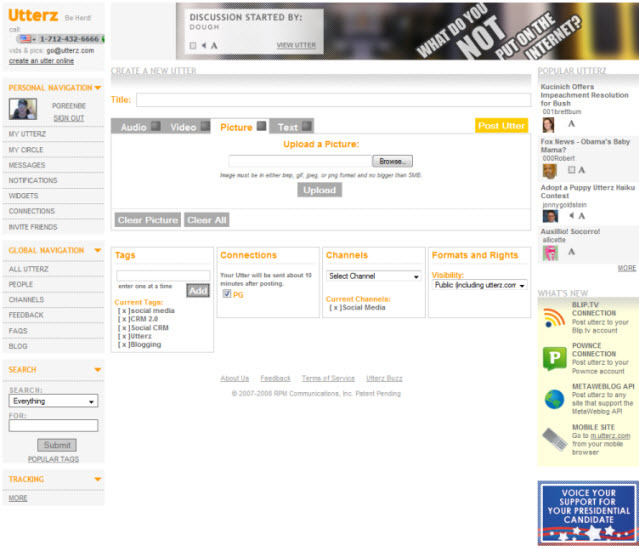 Diigo is one of the few Web 2.0 tools that I find both useful and utterly cool. It actually has value and purpose, because it best represents social bookmarking - which has value and purpose. Lots of it to someone who lives on research -feasts on knowledge and spits out judgments which may be questionable at times (many times) but at least are raising information-soaked questions, not judgments devoid of content. What makes this remarkable is that I can not only save web content that has research value to me in an organized way that's easily accessible but I can share that content as I pleasure and receive bookmarks from others who participate with me as my friends or as members of an open or restricted community also. So it gives me the ability to get what I need while I write CRM at the Speed of Light to make a ubiquitous example even more so, and then to solicit the links from someone who is supporting the effort. Wow. MAJOR MAJOR benefit. Try it out. Use it. Join a group. Create a group. You want to understand social bookmarking as capabilities for engagement and community? This is the one you need to know. No other one comes as close. Period. And I've looked. What I'm also finding is that in order to be mobile for the writing of this book and to engage resources and to hang out with friends at least the digital ones during this obsessive, immersive period (to end August 10), I'm relying more and more on tools that are actually voice-related to do my work and to be more effective. They are translation tools for the most part that involve speech to text and they allow me to take care of tasks both book related and "necessary to let people know I'm alive related" - most are mobile and are favorited on my iPhone (and will be on my new 3G iPhone come July 11). Here's what I'm using and for what. Links will get you to them. They aren't all just iPhone apps. They are universal. They happen to work on the iPhone among others. 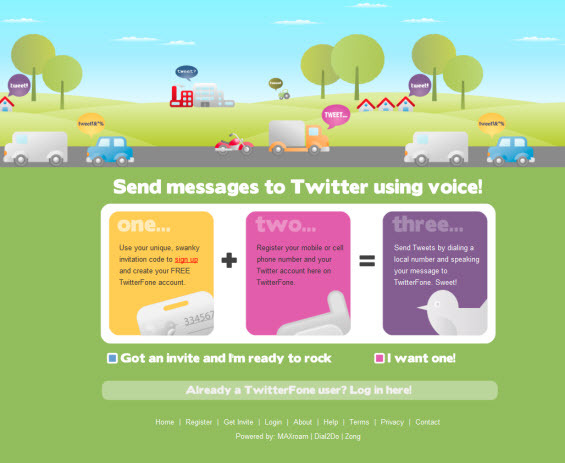 Twitterfone - This one works better than expected. I simply hit my favorited number - it dials up to some location - I leave a short message. It shows up on Twitter. Thus I can query my Tweet-buds or simply vent or do whatever it is I do on Twitter. Works great for that. Utterz - This one is new to me but works like a charm. I used to do Audioblogs but the service I used kind of went away. Now I can do it again. I can audio blog for free with Utterz and post text and video that will associate with the blog's audio entry if I do it within 10 minutes of the time I recorded and "published." Again, I call a phone number and I go for it. Works great and there are multiple ways to use this one - and multiple channels to access it. 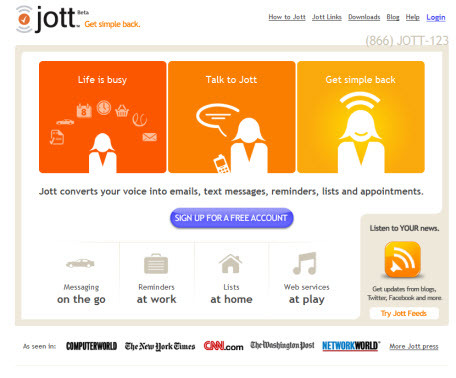 Jott - This site translates my voice into email to particular people or groups or to messages to social sites friends. In a Twitter exchange between uber editor of CRM Magazine Josh Weinberger and social customer king of dudes Chris Carfi, Chris suggested using Jott to do rough emails that you send to yourself to edit when you get home. Hat tip (as Mr. Carfi would say) to Chris on this. Again, a very useful function. All of this is usable while driving, though of course only if you're hand's free. Safe driving. Ahem.